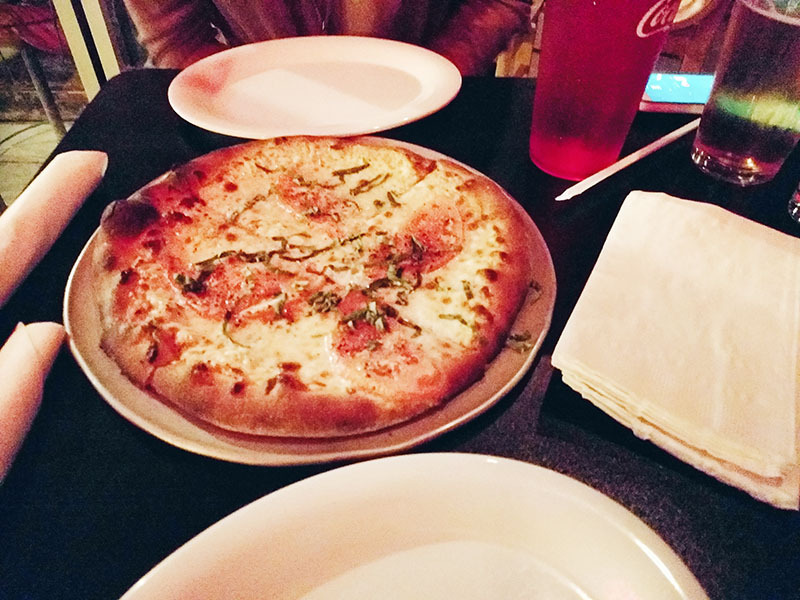 I need more of this delicious basil mozzarella pizza! 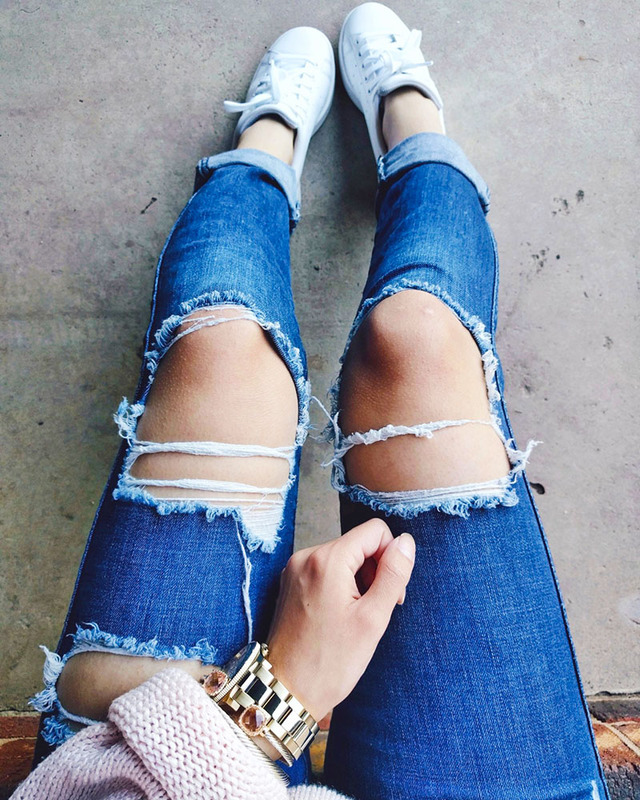 I love these jeans so much but one problem I have with them is that they stretch out throughout the day. That's one of the most annoying jean struggles haha! 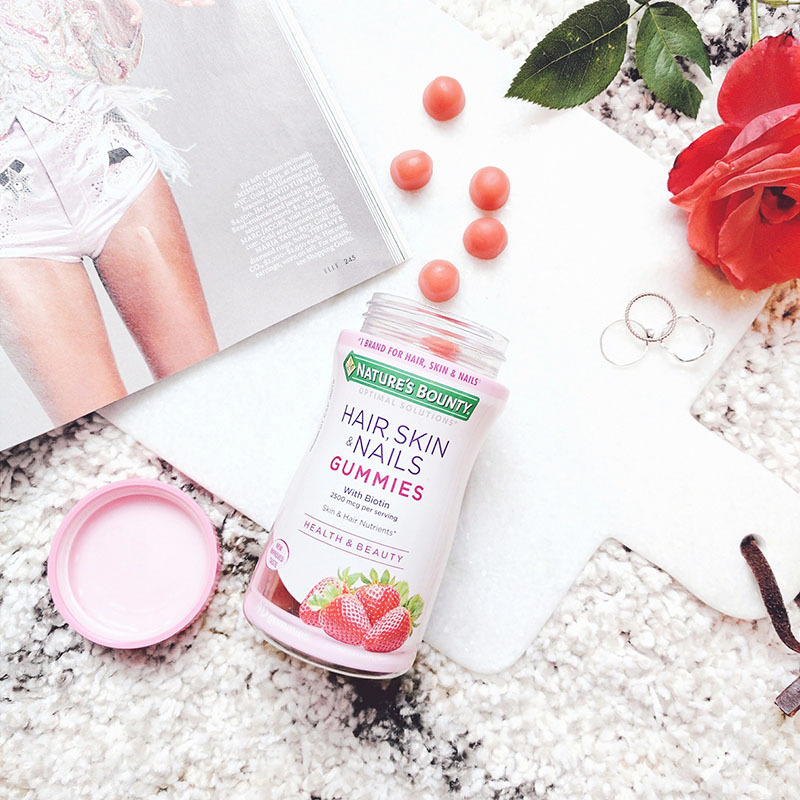 If you're looking for some delicious hair gummies then give these a try! I've been taking them for a little over a week and everything seems fine so far. Just remember to always drink a lot of water when you're taking biotin to help prevent breakouts! 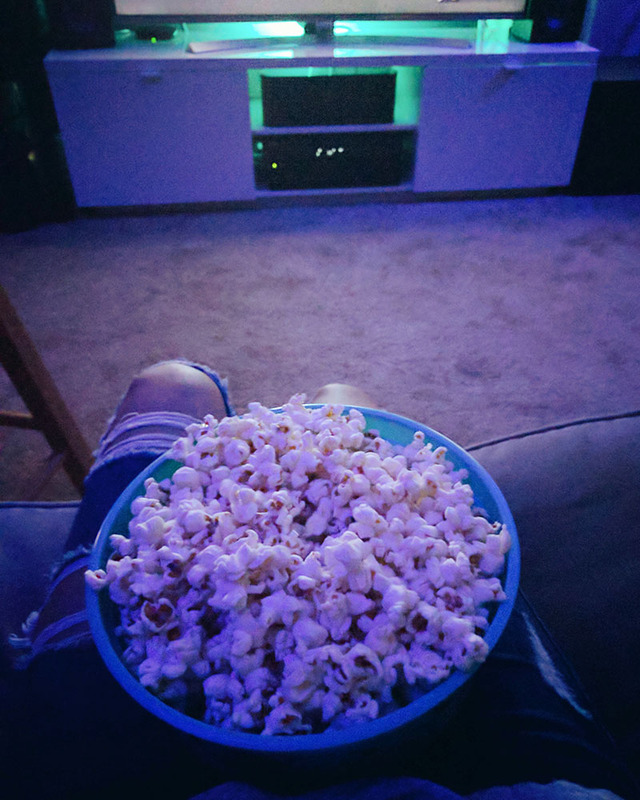 Movie & popcorn night with my love! We watched The Accountant and I loved it! It was full of action with a few funny scenes thrown in there too. This sweatshirt has been my favorite piece of clothing this weekend. 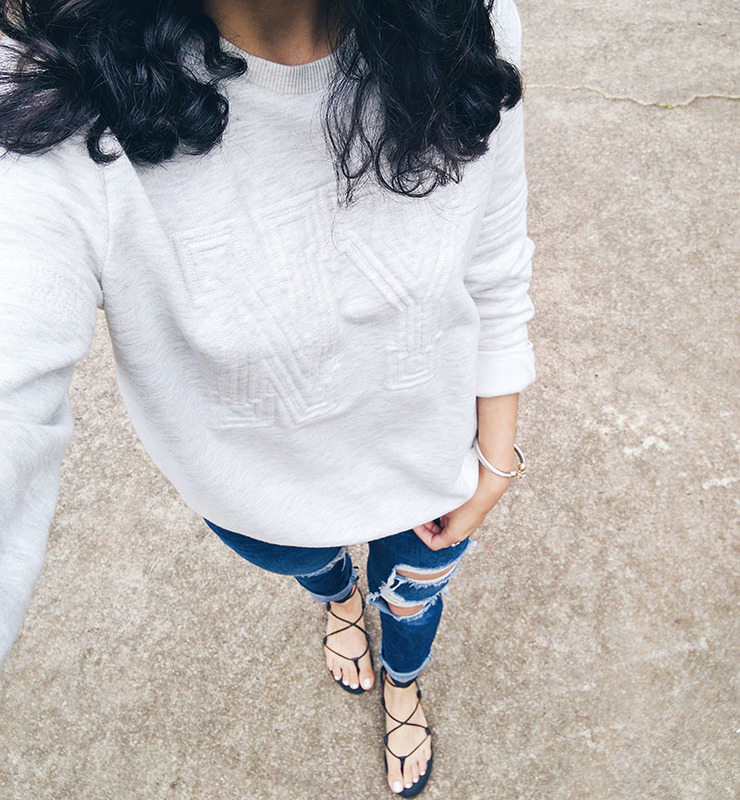 It's comfortable and perfect for lounging around in but also really cool to pair with jeans and shorts when you have to leave the house :) Of course I wore it with my Madewell sandals! Instead of using all instagram photos I also included some straight from my phone. If you'd like to follow me on instagram you can find me here. 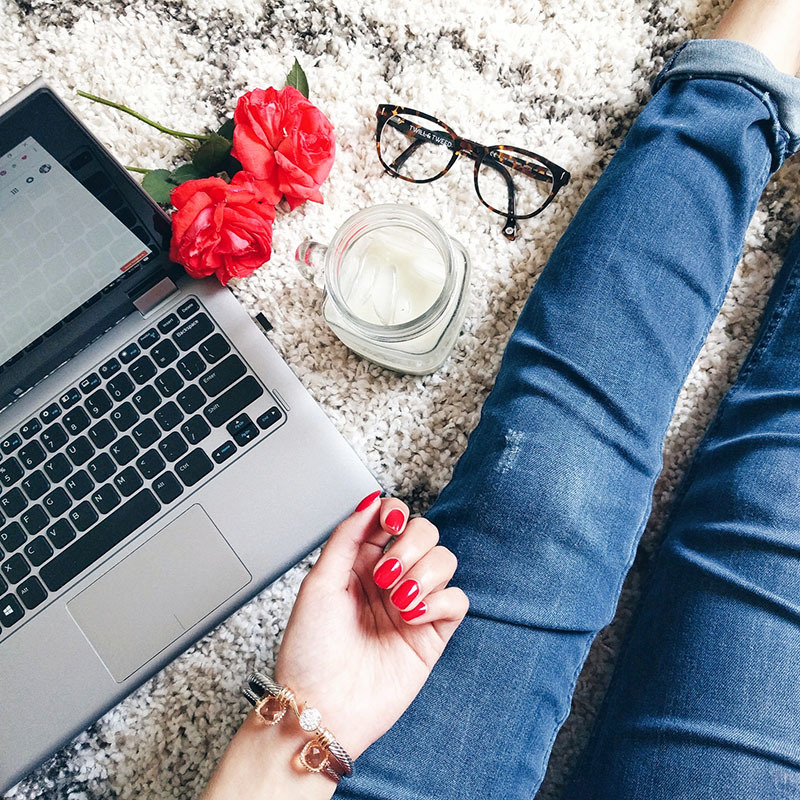 I love following my readers too so if you tell me you came from my blog I'll give you a follow! Let me know if you guys enjoyed this instagram recap! I love love the bright pink nails in that first photo. What a lovely feed! Thanks girl! 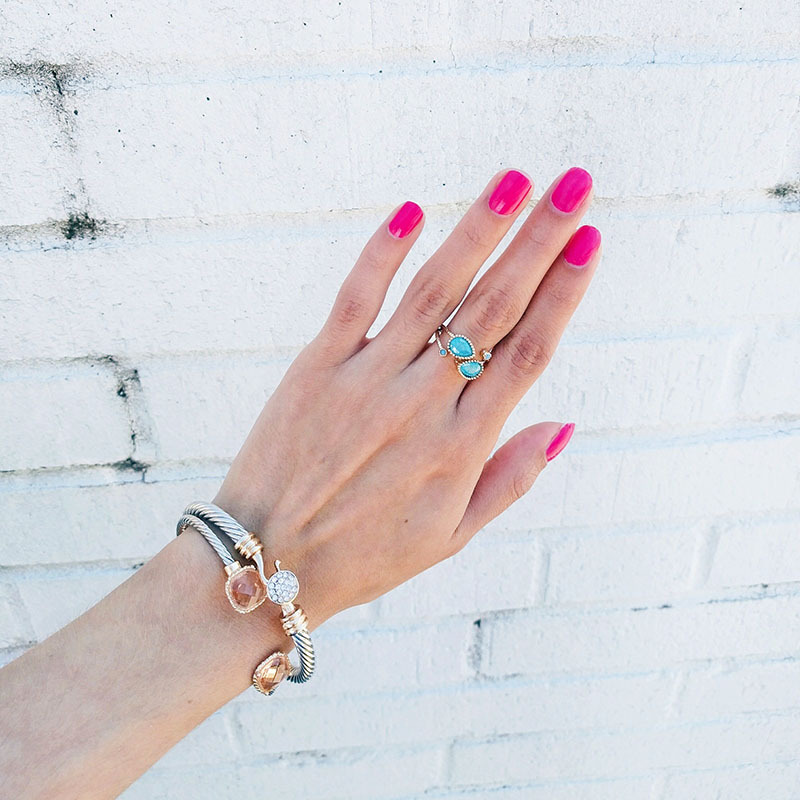 Every time I look at that photo I get an urge to paint my nails that color again haha!